On 21st. January, Navantia has delivered BAM “Furor” to the Spanish Navy, sixth ship of the series built by the company. 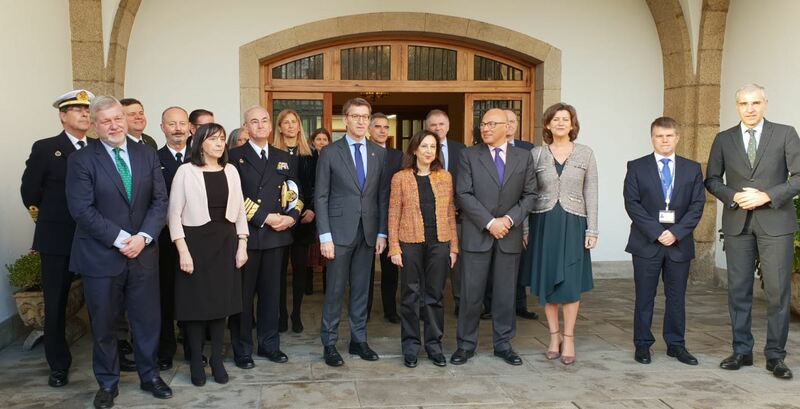 The event has been presided by the Ministry of Defense, Margarita Robles, and by the president of the Galician Government, Alberto Núñez Feijoo, also attended by the CEO of Navantia, Susana de Sarriá. The Ministry of Defense, Margarita Robles, has declared that the contract for the new F-110 frigates, to be built by Navantia at Ferrol facilities will be ready next April. The Cabinet approved, last December, an investment plan that is going to make possible the construction of 5 frigates with a budget of 4.325 million Euros, during a period of ten years. “This will permit the most important modernization of the Navy “, The Ministry has affirmed, who has highlighted the advanced technology of the Navy future ships, that ” almost look like spatial aircraft for the technology and precision that they have “. Robles has estimated that the investment of more than 4.000 million Euros will allow to generate 8.000 jobs ” with high qualification and projection in the time ” and has affirmed that the project represents ” an important investment in innovation and technology “. BAM are characterized for being modern ships with advanced technology, moderate sized, with high performance, great versatility as for missions, high level of interaction with other Navy ships and with a limited cost of acquisition and life cycle. The ships incorporate all MARPOL regulation measures, specially on environment, as new propellers, auxiliary and emergency engines, as well as the TAR waste water treatment plant. In addition, they incorporate improvements directed to the weight decrease, new equipment, adequacy for more crew and the application of the updated regulation on prevention and operative safety.